The Slide-O-Mix products were developed to offer exceptional lubrication for trombone hand slides. Slide-O-Mix lubricants will give your trombone a quick, smooth, and flawless response. The Slide-O-Mix products were developed to offer exceptional lubrication for trombone hand slides. They offer a heavy and a light slide lubricant, one for regular slides and a lighter kit for newer, tighter slides. 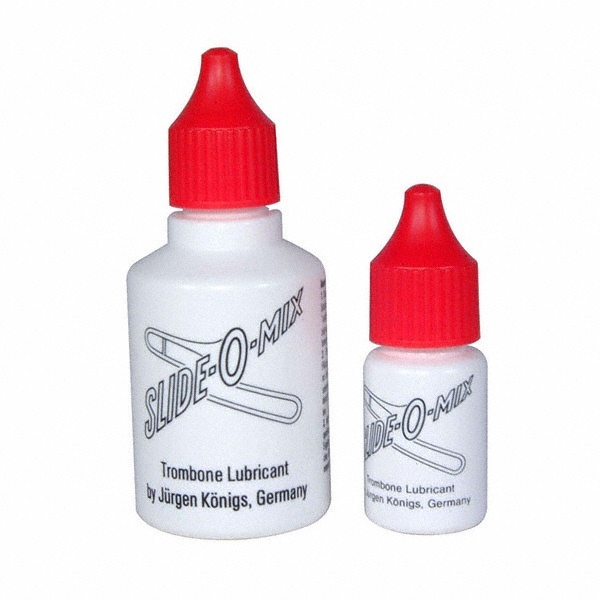 Slide-O-Mix lubricants will give your trombone a quick, smooth and flawless response. Extra individual bottles of it are available separately. Once you begin using this product, you may have to invent some new excuses for not quite getting that wild lick in the performance.